The heart of all the action at IMT Hyderabad is the Academic Block, where students converge to gain knowledge that will help them become successful entrepreneurs and business executives. The Academic Block fulfils all the criteria of a modern day institute, equipped with the necessary technology. The Academic Block houses nine Lecture Theatres, eleven Flat Classrooms, 55 Faculty Offices, Learning Resource Centre (LRC), four IT Labs, Administrative Office, Meeting Rooms, and two Seminar Halls. 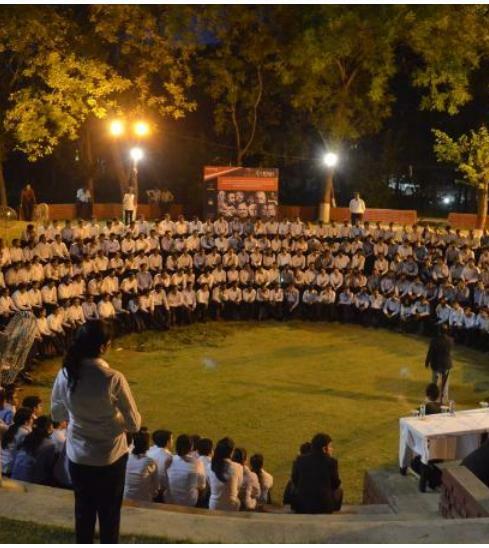 It also has an open air amphitheatre with a capacity of nearly 300, where students gather together for interactive sessions with reputed industry names and also to display their creativity through various events and festivals held round the year. The aim is to provide students with all the resources they need, in their quest to gain knowledge and develop skills, required to be successful in the industry. IMT Hyderabad understands the power of technology in a student’s life. It views technology as an enabling factor and thus, provides the best IT facilities to students. The campus is Wi-Fi enabled and boasts of world class IT infrastructure. 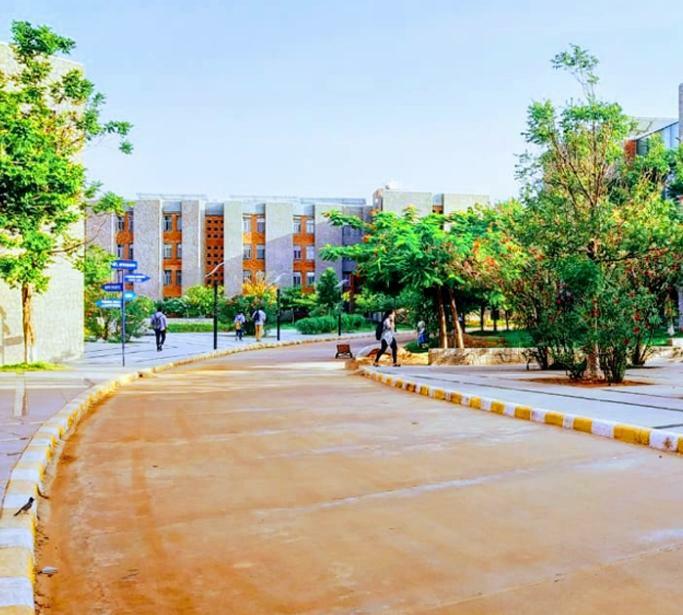 Students get access to broadband connectivity throughout the campus, as around 800 nodes with a backbone of 10 Gbps fibre connectivity with multi-layer, high end Cisco campus wide network and five enterprise level servers with blade technology, serve the students. The classrooms are equipped with Wi-Fi enabled projectors, Smart Boards and Learning Management Systems. The IT infrastructure is further enriched by the institute’s alliance with SAP University, Microsoft and SAS. IMT Hyderabad believes in promoting holistic development in students. The institute has a well-developed infrastructure for recreational activities to refresh the minds of students. In addition to these, the institute houses a Sports Complex, which includes a Cricket Ground, a Football Ground, a Basketball Court, a Tennis Court and a Badminton Court for students to hone their skills. The institute promotes an overall healthy environment and urges students to be fit, healthy and focused. IMT Hyderabad offers comfortable accommodation to the students. The campus has four hostel blocks presently, with spacious rooms for all the students. All the hostel rooms are single occupancy, fully furnished and have internet connectivity. The infrastructure of the institute has been designed to meet all the needs of the students, so that they can channelize their energy in the pursuit of knowledge and hone their skills. A well- stocked library is the backbone of any elite institute. At IMT Nagpur, the Learning and Resource Center aims to promote lifelong learning and improve the knowledge, skills and competence of its academic community. Open round- the- clock, throughout the seven days of the week, it boasts of a rich collection of books, journals, e-journals, corporate and industry information. The Center, fully Wifi- enabled, continues to adapt to the needs of the changing business environment and connects both students and faculty with the global resources of knowledge. The students and faculty get access to quality databases such as ABI/INFORM Complete (Proquest), EBSCO Business Source Complete, SAGE Management Journals, J-GATE, JSTOR, Science Direct, CMIE Databases, Legalpundit and Indiastate, to name a few. Modern classrooms and institutes incorporate IT infrastructure to provide a seamless experience to the students and keep them up- to- date with the demands of the modern world. IMT Nagpur understands this and provides high speed connectivity of 1 GBPS across the campus, including the rooms of students. The IT Resource Center is divided into three sections of 61 desktops each, used as online classrooms for IT course and as a common computing facility for other courses. IMT Nagpur has collaborated with IBM to set up IBM Business Analytics Lab in the campus to address the growing need for T shaped skills in the global market place. The campus also houses a video conferencing room, to enable the students to interact with industry experts, market players and share ideas. Boarding and Recreation facilities are crucial considerations before admission for all students. Keeping in this in mind, IMT Nagpur has set up ultra- modern boarding facilities for both men and women. As the academic programs are fully residential, the institute provides comfortable accommodation to students. The campus also has a large mess hall with a capacity to handle 1000 members at the same time. A large, modern kitchen, together with a bakery and ice cream making unit, is attached to the mess hall. With separate floors dedicated to Vegetarian and Non- Vegetarian food, the mess serves nutritious food to the members. 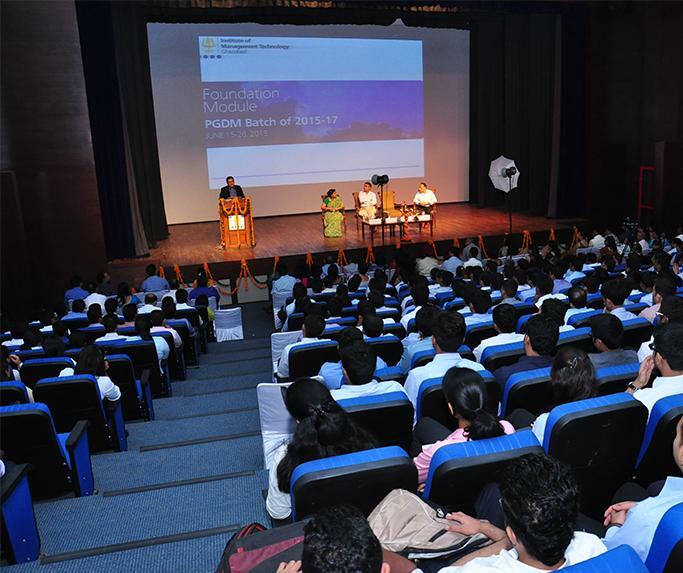 At IMT Nagpur, the emphasis is on the overall development of students. Therefore, it has put in place excellent recreational facilities at the students’ disposal. Students have access to gymnasium, basketball, badminton, chess, tennis, volleyball, football and cricket. IMT Nagpur values sports and understands its role in kindling the competitive and team spirit within students. 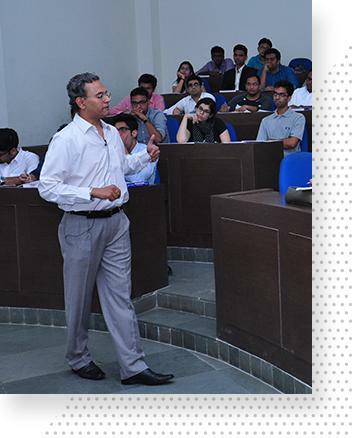 At IMT Nagpur, students get what they need to become successful business leaders of the world. A modern, technologically equipped infrastructure in a peaceful environment, awaits students at IMT Nagpur. Established in 1980, IMT Ghaziabad has become one of the premier management schools of the country. It offers highly sought after postgraduate programmes in a safe world class environment that promotes academic excellence and personality enrichment. IMT Ghaziabad boasts of a sprawling 14 acre campus, equipped with all the modern facilities that make the stay of students a happy and fulfilling one. The infrastructure of the institute has been designed with much thought, to channelize positive energy and underline the significance of ‘open space’. The idea is to promote a thriving campus culture and the infrastructure certainly plays a crucial role. IMT Ghaziabad has state-of-the-art infrastructure that looks after all the needs and requirements of the students. The newly constructed buildings have centralised air-conditioned classrooms with in-built projector and screen facilities. Students have access to Wi-Fi across the campus. The state-of-the-art auditorium, with a seating capacity of 700 people and an amphitheatre provide a platform to students to highlight their creativity and organise events, seminars and workshops. The library is the backbone of the institute. Students spend a lot of time here to enrich their knowledge and pursue research in areas of interest. The library at IMT Ghaziabad holds an extensive array of books, journals and magazines, in addition to the several online databases that the institute subscribes to. The institute has a license agreement with Harvard Business School Publishing to use case studies, articles, book chapters, simulations, videos and multimedia cases for class teaching and discussions. The institute also has a rich collection of books, e-journals, company and industry information, and country research databases. Some of the databases include, Bloomberg, Thomson Reuters-Eikon, EBSCO, Emerald Management, JSTOR, SAGE Management Journals, to name a few. 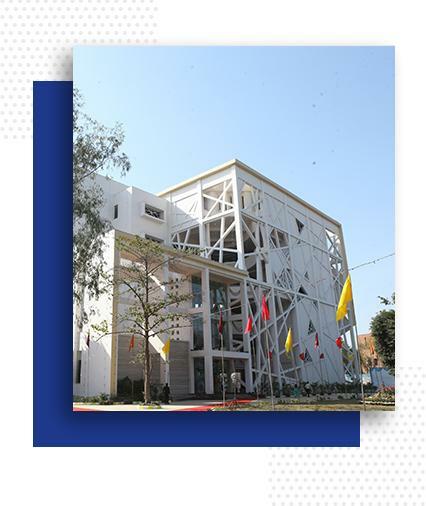 The students can also access American Information Resource Centre (AIRC), British Council Library, the Management Libraries Network (MANLIBNET) and the Developing Libraries Network (DELNET) through the library at IMT Ghaziabad. The institute recognises the utility of modern technology in a student’s life, and therefore, has laid down a complete web of IT infrastructure to fulfil the needs of the students. The entire campus is Wi-Fi enabled. The intranet available on campus offers connectivity of 100 Mbps across the campus. As all the students who enrol in the programmes offered at IMT Ghaziabad stay in the campus for the duration of their programme, the institute provides comfortable and spacious accommodation facilities to the students. A total of ten residential blocks, with facilities for Wi-Fi, laundry and cleaning, serve the students. The students have a choice to opt for single or double occupancy rooms. The mess, offers nutritious food four times a day and remains open every day of the week. In addition to the mess, there is a canteen too, within the campus, which takes care of the food requirements of the students. IMT Ghaziabad offers students a wide array of sports and recreation facilities, to ensure that the students remain fresh and develop a holistic personality. The institute provides facilities for popular outdoor games such as, Cricket, Badminton, Volleyball, Basketball and Football, to name a few. The campus also has a well-equipped gymnasium. IMT Ghaziabad, thus, provides a stimulating environment to all its students and helps them become the leaders of tomorrow. 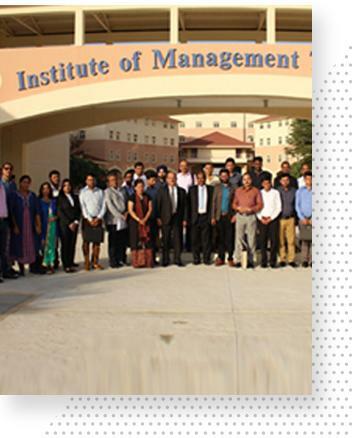 In 2006, the Institute of Management Technology added its first international branch in the form of IMT Dubai, to provide world class higher education to students and give them a truly international experience. IMT Dubai is the only stand-alone business school in Dubai accredited by the Ministry of Education-Higher Education Affairs, UAE(MOE-HEA), UAE. The state-of-the-art campus is located at the Dubai International Academic City (DIAC) and caters to students from around the globe. IMT Dubai boasts of a sprawling campus, spread over a total area of 250,000 square feet. The infrastructure juxtaposes aesthetics with modern utilities, to provide the best facilities to students. 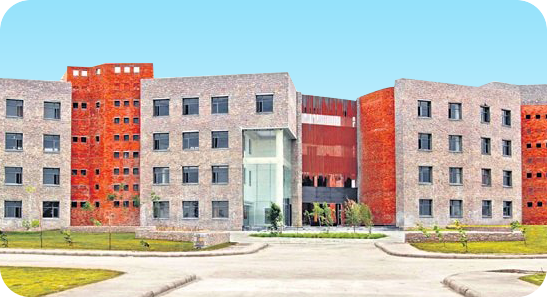 The campus is an eight building complex, equipped with world class academic and residential infrastructure. The library is a hub for learning at IMT Dubai. The students and faculty have access to thousands of books, journals and online databases to enrich their knowledge and enable their research. Among the resources available are books, e-books, periodicals, e-journals, audiovisual materials, corporate reports and much more. Important digital resources that students can access include EBSCO (Business Source Premier), the world’s largest full- text business database, with more than 3,650 scholarly journals. The library keeps updating itself regularly and fulfils the requirements of the students and faculty. IMT Dubai provides a comfortable and safe environment for students. The institute has the capacity to accommodate 600 residential students in both single occupancy and twin sharing accommodation and separate residences for male and female students. The residences have a common dining facility, television rooms, and gaming facilities. The institute gives paramount importance to the needs and comfort of students, so that they are able to focus on their goals. IMT Dubai realises the power of technology to aid the learning process. It has therefore created a state-of-the-art information technology center that functions round the clock. The center includes a number of personal computers, numerous printers, and sophisticated software applications. The students have access to free wireless internet throughout the campus. IMT Dubai has established itself as a premier business institute in Dubai, with world class infrastructure to meet the demands of students from all over the world.